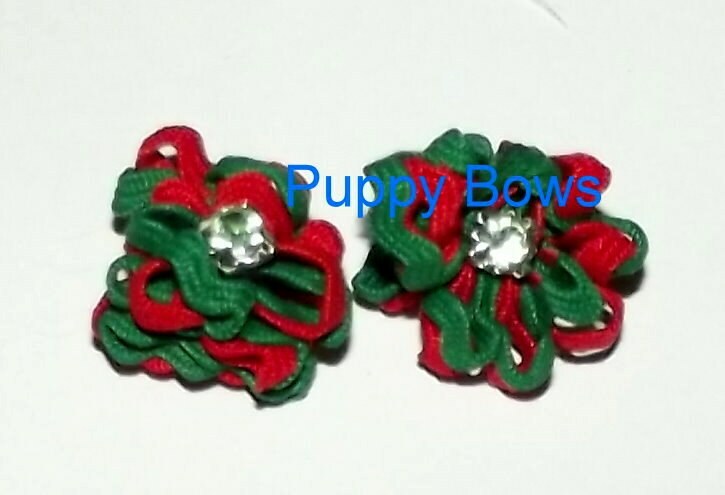 Each order includes two tiny red/green flowers with rhinestone center and latex bands sewn on. The entire item is made by hand. Each measures about 5/8" wide.